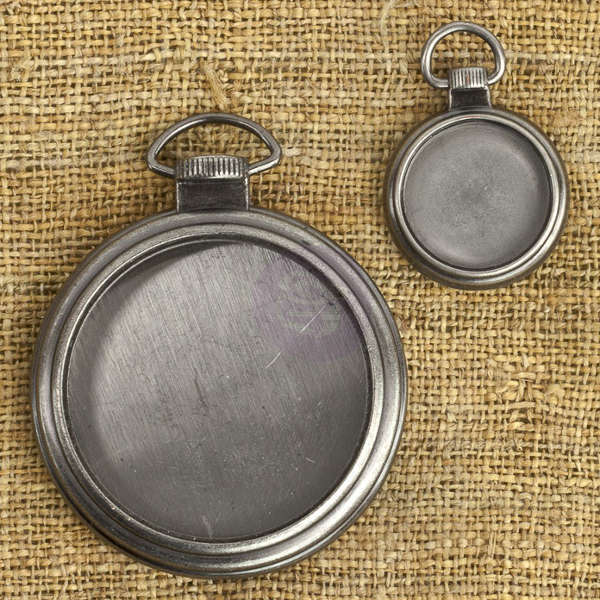 Solid metal (pocket watch) clock shapes from Prima. They are designed to work with many kinds of embellishments. There is a hole in the middle of them to fasten them easly with other similar items. Great grungy addition to every project. Package Size - 4" x 6"